At PhotoMetrics, we take pride in our ability to solve your problems with rapid turnaround – often the same day. We are a commercial analytical laboratory located in Southern California offering state-of-the-art equipment, facilities and instrumentation, including Scanning Auger Microanalysis (SAM), Scanning Electron Microscopy (SEM), Field-Emission SEM for high resolution work, Energy Dispersive X-ray Spectroscopy (EDS), Fourier Transform Infrared Spectroscopy (FTIR), Atomic Force Microscopy (AFM) and DSC and TGA thermal analysis. Call us now to help solve your analytical problem! Since 1970 we have been solving production and failure-analysis problems through materials characterization and chemical analysis. We offer an experienced technical staff with state-of-the-art equipment, facilities, and techniques. 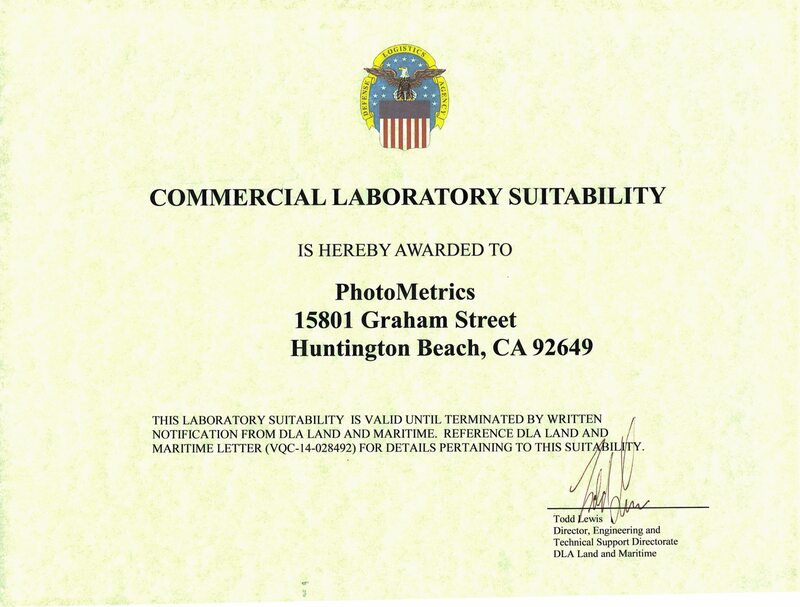 PhotoMetrics provides solutions, not just data. Because a team approach is the most effective way to solve problems, we encourage client involvement. By combining your input, our staff, and the proper analytical techniques, we can assure you a rapid solution to your materials or process challenges. You can download our submission form as a PDF file. To submit a sample for analysis, simply fill out the form on the computer, print it and include the completed form with your sample.